The Indiana Region of the Classic Car Club of America and D-A Lubricant Company, Inc. are proud to present a revolutionary new motor oil specifically produced to reduce mechanical wear in your classic car’s engine. To protect valve train components. What Makes Classic Car Motor Oil Different From Other Motor Oils? Classic Car Motor Oil has been designed to meet the unique demands of vintage, restored, and classic automobile engines. It contains preservatives to keep oil on the engine components even when the car is stored and not run frequently. As the Indiana Region of the Classic Car Club of America, we are dedicated to the maintenance, restoration, and preservation of all collector cars. Because of concerns about the degradation of collector car engines with the new API-SM motor oils we, in conjunction with the D-A Lubricant Company, Inc, have developed an exceptional type of motor oil for use in all collector cars. 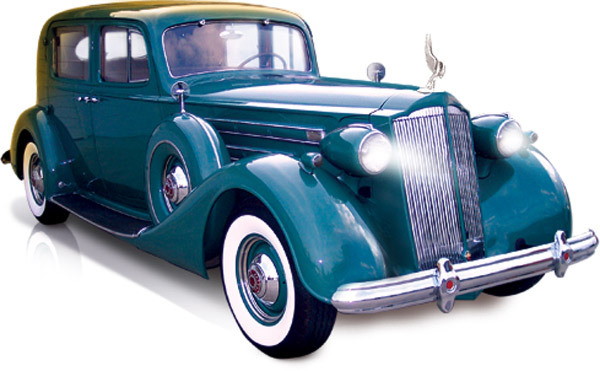 C’ville Classic Cars has been using Classic Car Motor Oil for many years. With the special additives, we believe it promotes longer engine life. In fact, our customers now purchase Classic Car Motor Oil to top off their engines. We highly recommend Classic Car Motor Oil for those with classic cars. In addition, the Indiana Region is very customer focused, orders are processed quickly and delivered in a timely manner. What cars would benefit from the use of Classic Car Motor Oil(CCMO)? Virtually any car that does not have a catalytic converter would benefit. CCMO may shorten the life of the converter by coating the active substrate with phosphorus. Should I use CCMO in my car that has been using Non-Detergent? Like any other motor oil, CCMO is not recommended for an engine that has been using non-detergent oil, however, it is more than acceptable to use CCMO once that engine has been rebuilt. Why should I purchase Classic Car Motor Oil? If for no other reason, for the presence of a preservative which meets military specifications and protects bare metal parts from rust. Rust produces degradation of the metal and rust particles act as an abrasion between moving parts. Classic Car Motor Oil is Multi-Grade oil. How does CCMO compare to Mono-Grade? Our multi-grade oil is thinner at start up allowing the oil to flow rapidly to wear points. Beyond 100 degrees centigrade, the CCMO retains its viscosity better than Mono-Grade oil. CCMO contains high quality viscosity modifiers. Viscosity modifiers keep the oil thicker at high temperatures. Inexpensive and many moderately priced oils do not contain high quality viscosity modifiers. The new SM OIL has viscosity modifiers which degrade. This is not good for collector cars or really any engine. What about ZDDP in Classic Car Motor Oil? CCMO has an optimal level of ZDDP, which decreases wear on highly loaded rubbing services. It is most helpful in the cam lifter interface, the piston ring/cylinder interface and any moving part that does not run in a cushion of oil. ZDDP has been around since the 1940’s. Can I use ZDDP as an additive to my existing oil? You can, however, you don’t know your end product. 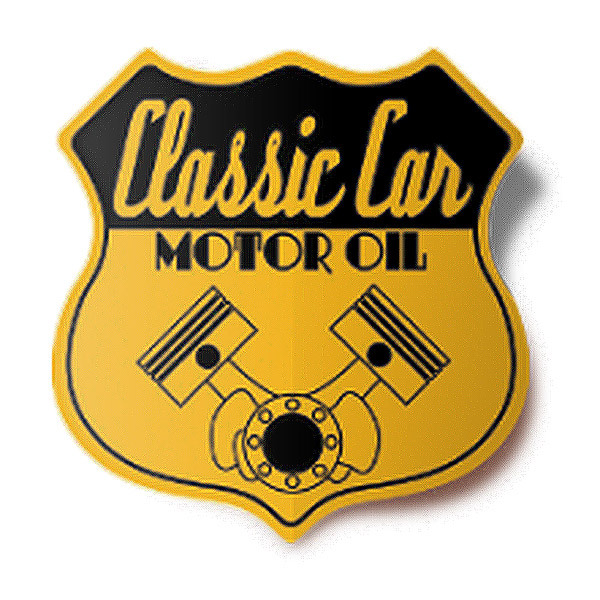 Classic Car Motor Oil was designed by the chemists and engineers of the DA Oil Company in Indianapolis, IN to be, “The Optimal Oil for the Collector Vehicle”. How do I order Classic Car Motor Oil and how is it shipped? Classic Car Motor Oil is sold by the case (12 quarts). The oil can be ordered from our website, www.classiccarmotoroil.com or by phone at (317) 225-0040. Classic Car Motor Oil can only be purchased through the Indiana Region of the Classic Car Club of America. Is there a discount for multi-case orders? Yes, allowances are given for the following multi-case orders. 14 to 96 cases may be shipped as a pallet price of $195 (per pallet). What if I have a store of Pre SM Oil? CCMO is a much better oil for your engine than a Pre SM Oil. It has a preservative, a balanced package of ZDDP and very high quality viscosity modifiers which are not found in many oils. 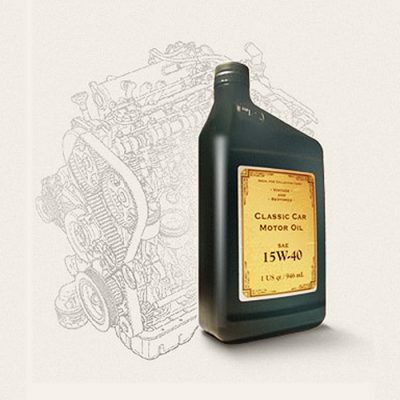 IF YOU CARE ABOUT YOUR ENGINE…use CLASSIC CAR MOTOR OIL. What are the properties of Classic Car Motor Oil?